To learn more techniques to manage your emotional triggers get my PDF “Life Strategies for Sensitive People” Here. Your emotional triggers are wounds that need to heal. These beliefs are based on fears—they are not reality. You don’t want to be triggered all the time. It is exhausting and painful, especially for highly sensitive and empathic people. Strategy 1. Be aware. 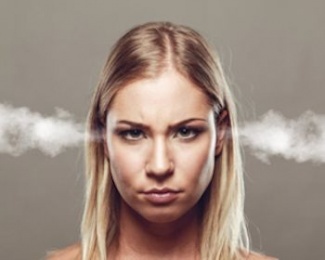 In your journal, identify your top three emotional triggers which cause you to be most upset and thrown off balance. For instance, when someone criticizes your weight or appearance? Or if you don’t earn a certain income? Or perhaps you feel unlovable and undeserving of a healthy relationship? Write these down to clarify the aspects of yourself need to heal. Strategy 2. Track the trigger’s origin. Journal about where these triggers originated. For example, did your parents say that you were “too fat” or unattractive? Did a teacher tell you that you didn’t have what it takes to succeed in school? Or were you neglected by your family, so you grew up feeling un-loveable. Knowing where your triggers come from allows you to know yourself better. Strategy 3. Reprogram negative beliefs. Start with one trigger that has the least emotional charge and begin to compassionately reprogram it. Tell yourself, “This is not reality”. What’s actually true is, “I am loveable, capable and smart.” Substitute the negative belief with a positive, more realistic one. Strategy 4. Act as-if. At the start of the healing process, you might need to “act-as-if” when you haven’t fully integrated a new positive belief. That’s okay. For instance, simply saying to someone, “I disagree. I fully deserve this great job” (even when you don’t fully believe that) paves the way for a deeper belief later on. Or “I am proud of my sensitivities. Please do not put them down.” Sometimes you need to practice a more enlightened behavior for it to sink in and become real. Strategy 5. Work with a therapist or coach. It’s often useful to seek guidance to help you find the root of the trigger and process the feelings involved. You may feel tremendous rage or sadness that your family never believed in you, so you never learned to believe in yourself. Expressing and releasing the feelings allows you to heal the trigger and move on to embrace your true power. 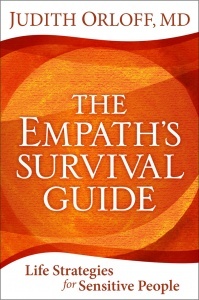 Adapted from Dr. Judith Orloff’s ”The Empath’s Survival Guide: Life Strategies for Sensitive People,” a guidebook for empaths and all caring people who want to keep their hearts open in an often-insensitive world.